Like on other social networks like Facebook or Twitter, organizations and people may post updates on their news feed. These updates may include photos and attachments. If you are logged into your organizational profile on the Marketplace, you may post an update either through the main feed news on the home page, or through your profile page. 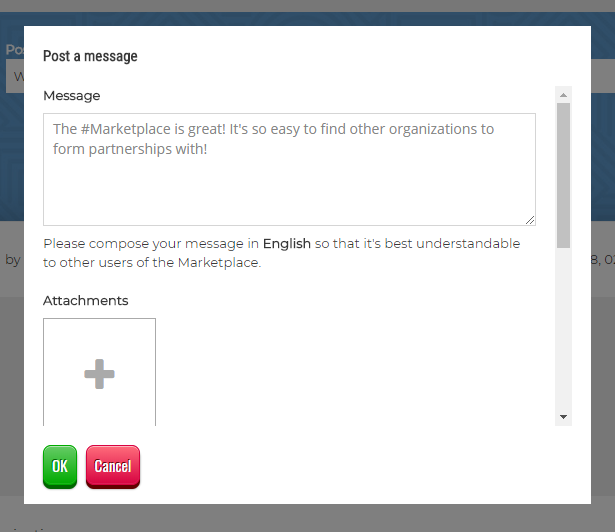 If you are logged into your personal profile on the Marketplace, you may post an update by visiting the profile of the organization for which you want to post an update. This is only possible if you have been added to the organization’s staff. The “Post message” box appears above the news feed on an organization’s profile. Click on the “Post message” box above the news feed to post an update. In the window that then appears, you may enter a message of up to 1024 characters. Like on other social networks, you may use hashtags when composing your message. You may also upload attachments to your message, such as photos or PDF files. 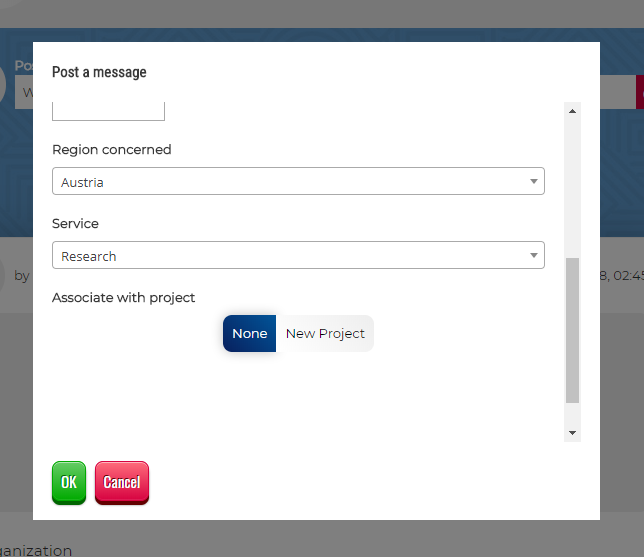 By scrolling down in the “Post a message” window, you may select a specific region and service that your post should be correlated with. 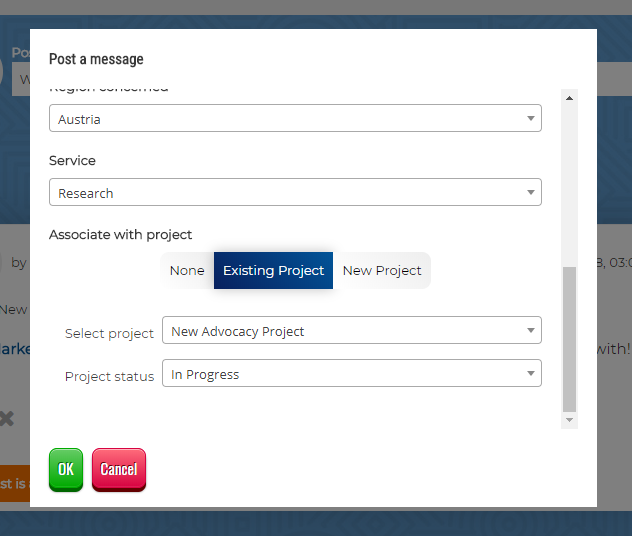 By selecting “New Project” at the bottom of the “Post a message” window, you may associate your post with a new project. The new project will then be added to your organization’s profile and appear on the right of your provided and required services above the news feed. 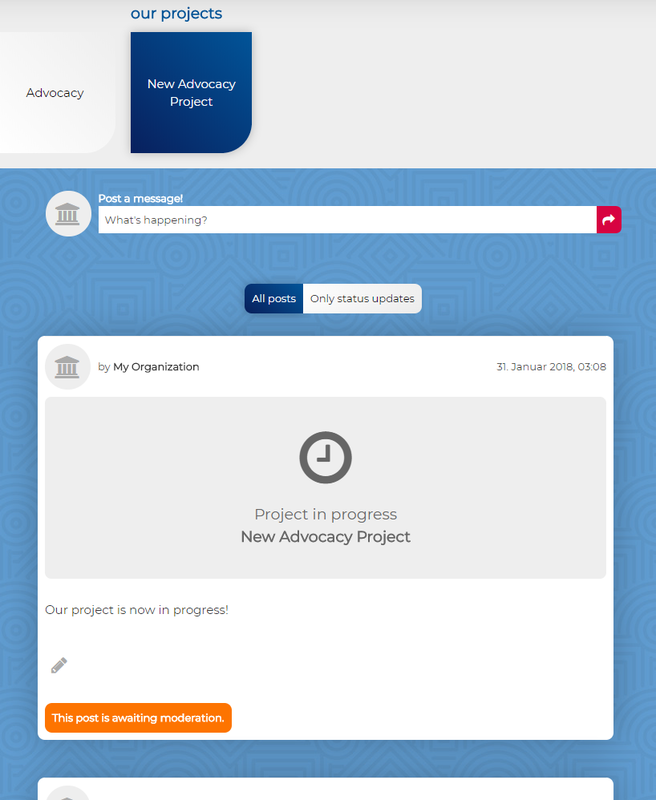 The new project appears above the news feed, on the right of your organization’s services. 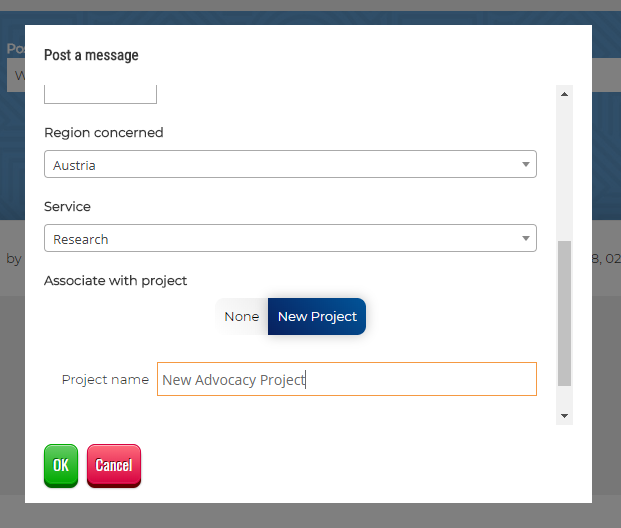 By clicking on the project, you may filter your news feed to only show posts that concern a particular project.